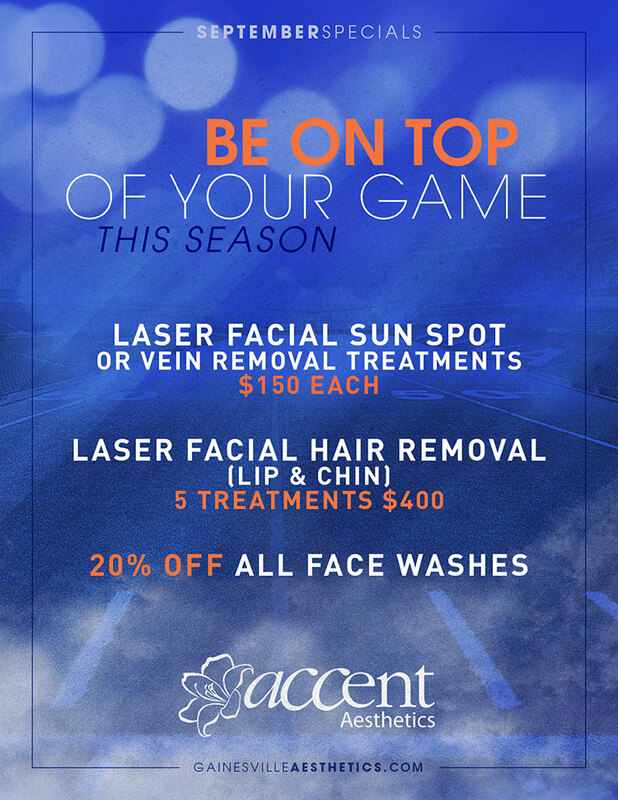 Be on top of your game this football season with Accent Aesthetics! BE ON TOP OF YOUR GAME THIS SEASON! Don’t miss these fantastic Specials in September! Just in time so you can be on top of your game this new football season!